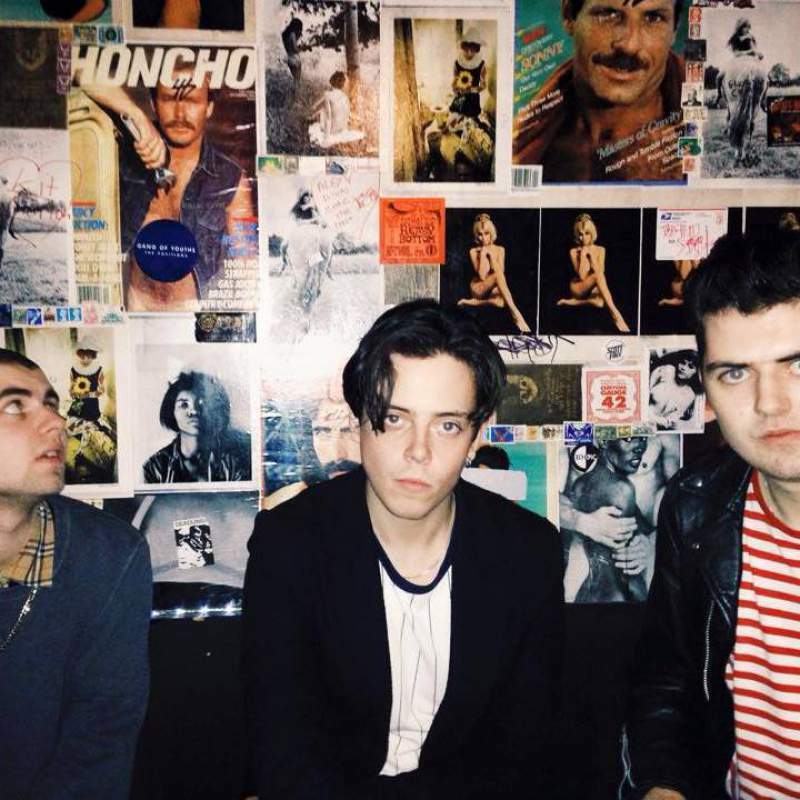 Glasgow is in the midst of something of a garage rock revival at the minute and one of the bands at the centre of that explosion is three-piece Baby Strange. They’re almost the perfect band for anyone looking to fill a hole left by the Jesus and Mary Chain and Black Rebel Motorcycle Club, yet they’ve also got something particularly distinctive about them thanks to a punk and grunge edge to their songs. After a series of successful supporting tours with Palma Violets and Slaves, they’re playing a distinctly smaller headline show at Tynemouth’s Surf Café next week alongside Twin Mirror and Coquin Migale. Ahead of the gig, we talked to Johnny Madden about misconceptions over their name, being sick of partying and why they like to play at smaller venues. Why did you decide on the name Baby Strange? A lot of people would probably think of the T-Rex song from 1972 when they hear it. We actually weren’t aware of the T-Rex song at the time. We just liked the way the two words sounded together. On your single Pure Evil you say that you’re “tired of my generation.” What exactly are you tired of? When I wrote that song I was getting sick of the party generation. Never knowing when the night ends, spending time with a bunch of people that you don’t really know that well. I was aiming that song at myself as well as other people. Is apathy for the state of things at the minute a running theme in your songs? Because that’d be pretty understandable! To some extent, yeah. A lot of our earlier songs have that kind of feel about them. I’ve pushed myself to write about other things instead of the feeling of being sick of things. It gets a little boring when you feel like you’re moaning. You’re quite grunge, quite punk and yet you’ve said that you’re big fans of electronic music, which might surprise some people. What attracts you to that genre? It’s good to dance to. Considering your sound though, you must have a lot of rock-based influences; who would you say have inspired you the most, musically? David Bowie, The Blue Nile and Prince. You recently toured with Slaves across the UK; what was that experience like? It was great. We really like them as people and think they’re music is amazing so it was a pleasure to tour with them. Hopefully we’ll do it again. For someone who hasn’t seen a show by Baby Strange, what can we expect from one of your gigs? For it to be loud and sweaty. Why did you decide to play at the Tynemouth Surf Café, rather than a bigger venue? We love doing small gigs like that, it seems they are the ones that people remember. Even though it’s a pretty small and intimate venue, I can’t imagine that you’ll be turning down the volume but are you going to be trying anything different at the Surf Café gig at all? We will be trying out some new songs. It’s the perfect place to do it. What have Baby Strange got planned for the future? Debut album and playing anywhere that will have us. Baby Strange play at the Tynemouth Surf Café on Saturday 11th July. A small handful of extra tickets have just been released.